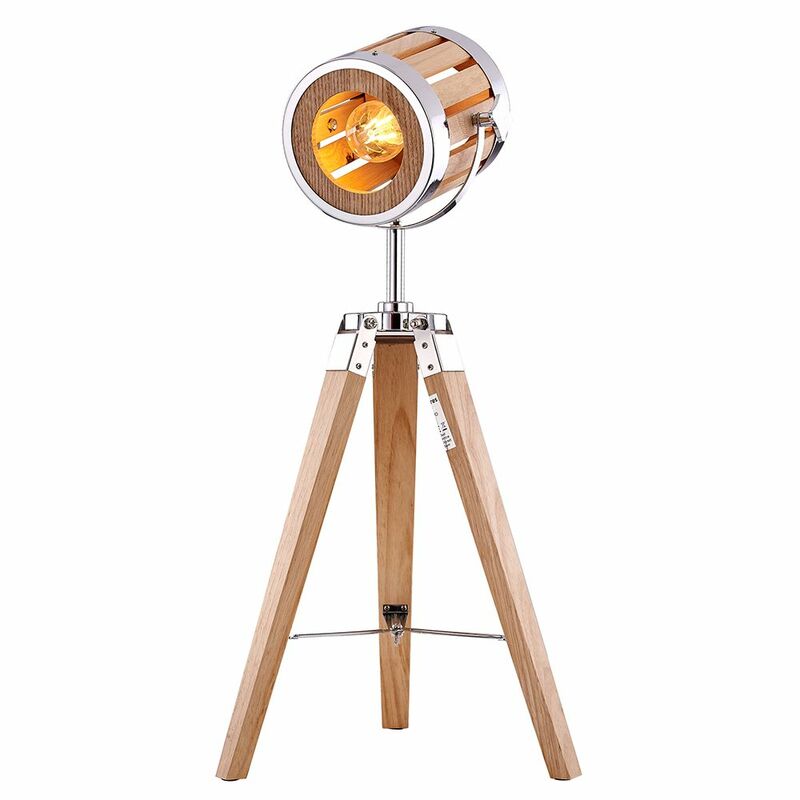 High quality and industrial looking tripod standard floor lamp with unique searchlight deisgn. 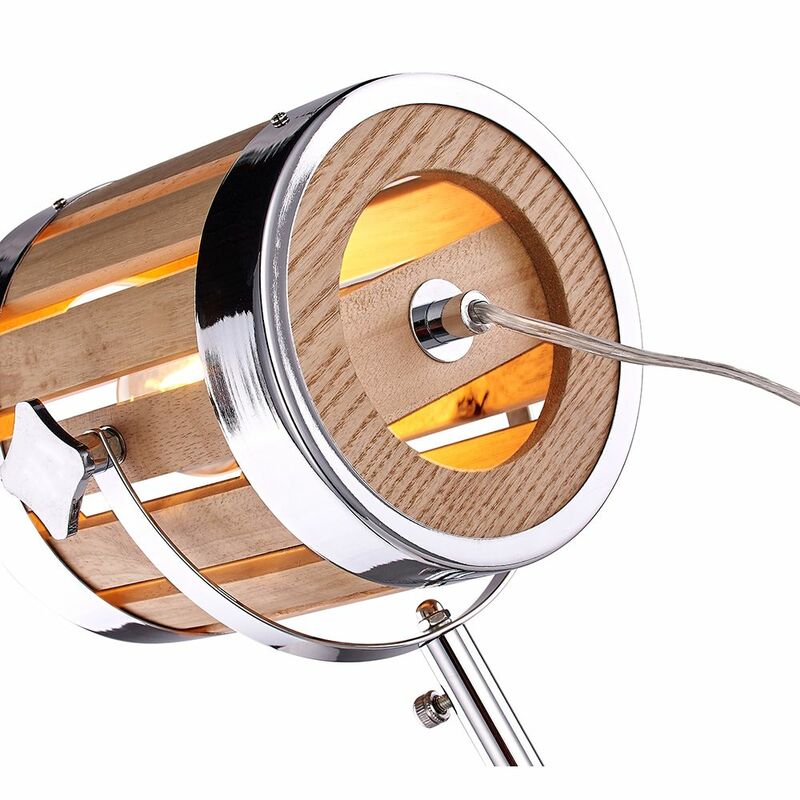 Constructed of wood with chrome plated metal parts, the lamp head can be adjusted upwards and downwards. 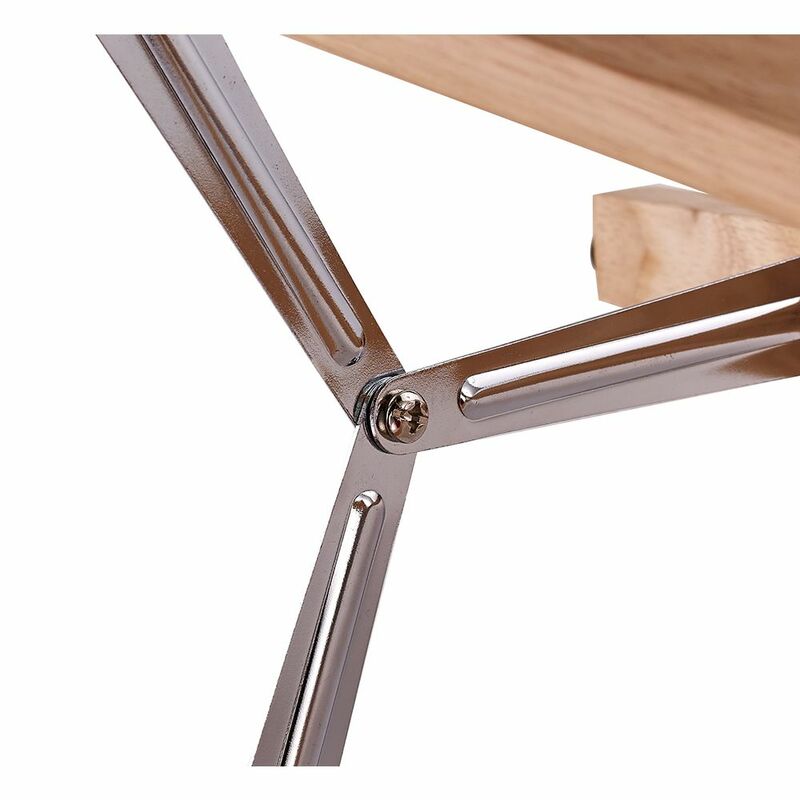 Features inline on/off switch button located on the clear cable. 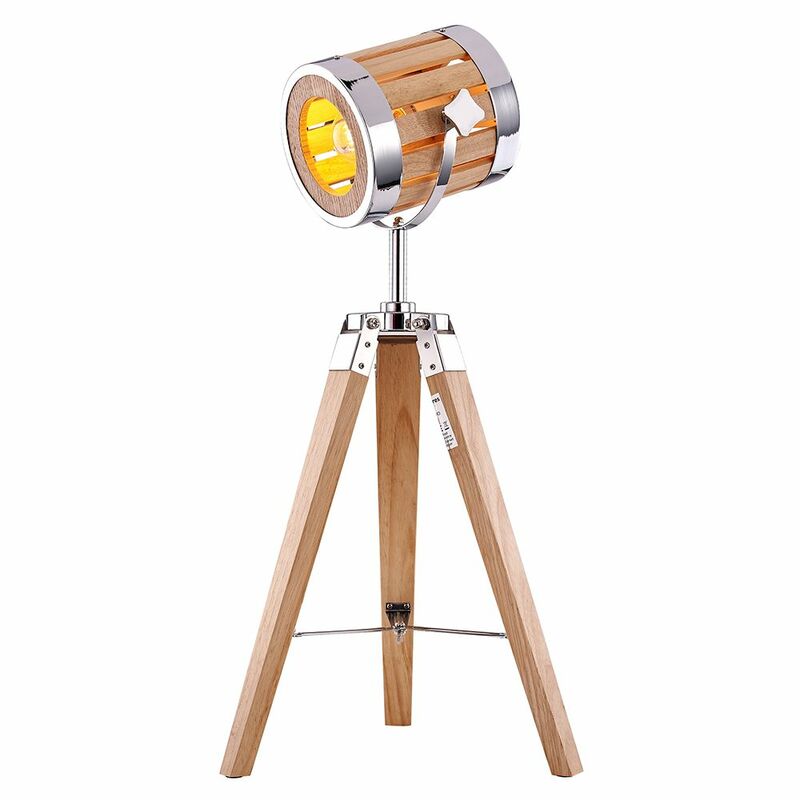 The lamp has a height of 70cm and the tripod base has a total diameter of 43cm.